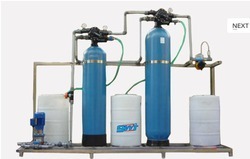 Leading Manufacturer of dm plants, water demineralization plant and demineralization plant from Ahmedabad. Driven with perfection, we are engaged in catering to the variegated requirements of the customers by bringing forth DM Plants. Unblemished in quality, the DM Plants offered by us are manufactured using high-grade raw material that is obtained from the reliable vendors of the industry. Owing to our transportation facility, these plants are delivered to the customers' premises in stipulated time-period. 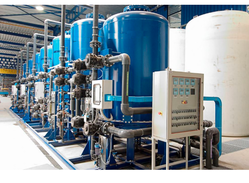 With the expertise of our professionals in this domain, we are able to bring forth a quality approved Water Demineralization Plant. Accordance with the industry set guidelines; these plants are manufactured in two types, which include separate-bed and mixed-bed. Longer in service life, our offered plants are closely inspected. 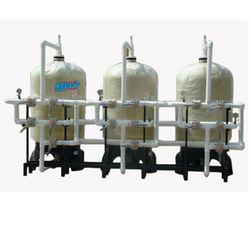 Owing to our expertise in this domain, we have been able to cater to the variegated requirements of the customers by bringing forth Demineralization Plant. 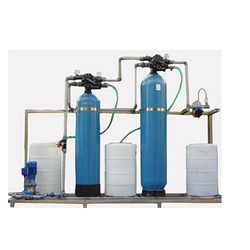 Used to purify water, these Demineralization plants are developed by making use of quality-approved raw material and other components that are sourced from the reliable vendors of the industry. In addition, these Demineralisation plants are thoroughly tested on various parameters to ensure flawlessness. We are offering a dynamic assortment of D.M. Plants in the market, which is requires less maintenance and easy to use. Design and developed under the supervision of talented professionals, these offered collections are known for their durability. These products are highly appreciated by patrons not only for their easy usage and best performance, but also for a long service life. Our clients can avail these products at leading market price from us.